Searsport Veterinary Hospital was founded by Dr. Elmore Andrews in 1963. In September of 1999, Dr. Andrews officially retired. The practice was re-opened in November 1999 under the leadership of Dr. Yvette Lahaye. Dr. Lahaye attended The University of Tennessee, College of Veterinary Medicine. After graduating in 1997, Dr. Lahaye came home to Maine to practice. 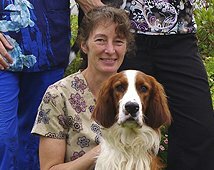 In 1999 Dr. Lahaye purchased and took over the reins of Searsport Veterinary Hospital. Dr. Lahaye’s family includes a husband, 2 children, 6 horses, 2 cats and 2 dogs.